The first man to be prosecuted in Northern Ireland for having a prescription medication linked to more than 30 deaths took it for pain relief, a court heard yesterday. 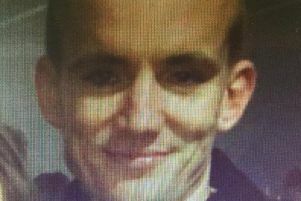 Brian Adams, 32, was detained in Belfast on Tuesday for the alleged possession of Pregabalin. His arrest came just 24 hours after the anti-epileptic medication, also known by the brand name Lyrica or street slang ‘bud’, was classified as a Class C drug. The move followed a recommendation by the Advisory Council for the Misuse of Drugs, in a letter to ministers which cited warnings of significant misuse, in January 2016. Pregabalin has been linked to 33 deaths in Northern Ireland. Adams, of Mervue Court in the city, appeared before Belfast Magistrates’ Court charged with possession of the drug. Defence lawyer Niall O’Neill, of O’Neill Solicitors, mounted a successful bail application during the hearing. Mr O’Neill submitted that his client had Pregabalin for the purposes of pain relief. Deputy District Judge Trevor Browne granted bail for Adams to return to court later this month.